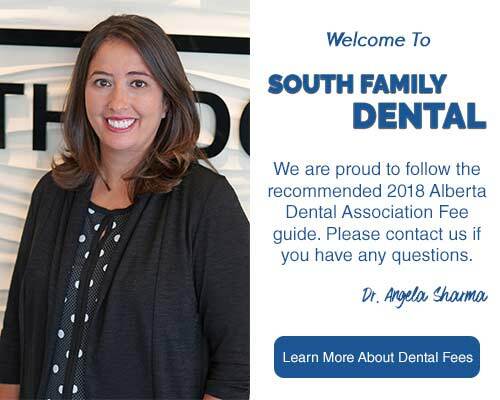 The South Family Dental Care Dental Hygiene Team is comprised of a group of healthcare professional that provide dental hygiene services that are second to none. The dental hygienists at South Family Dental Care are all certified with the College of Registered Dental Hygienists of Alberta. It is important to note that in order to become a dental hygienist formal training and a degree or diploma from a certified dental hygiene program is required to become licensed to practice dental hygiene in the Province of Alberta. Dental hygienists have a strong background in oral anatomy, pharmacology, nutrition, and periodontology. The hygiene team at South Family Dental Care, performing certain tasks that involve direct patient care. Our dental hygiene team follows a client-centered philosophy when providing hygiene therapy, by treating periodontal conditions and by promoting dental health and wellness with a strong commitment to excellence.